Rural and remote Mt. Washington, Massachusetts, with a population of 145, is about to install high-speed, broadband access to the Internet for each resident, a service that not even residents in Great Barrington enjoy. Mt. Washington — ­­­While the entire region limps along with slow Internet speeds, some exasperated towns have found a way though the broadband jungle. With 145 residents, Mt. 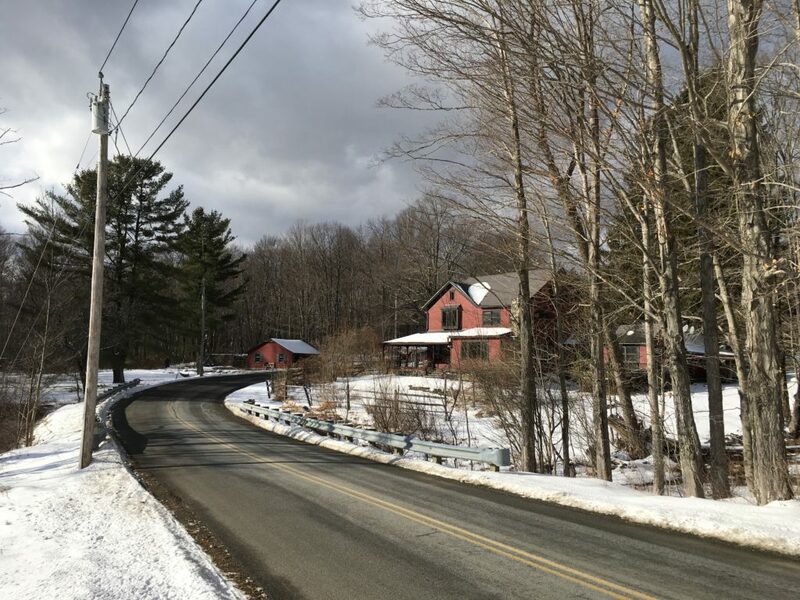 Washington, straddling the high southwestern peaks of Berkshire County, is one of state’s smallest but it’s bucking what has become a regional crisis that keeps rural western Massachusetts on what is the equivalent — in communication infrastructure terms — of a muddy third-world road, something the state’s Massachusetts Broadband Initiative (MBI) is scrambling to fix. Now the town is on a nine-month construction timetable for a fiber-to-the-home (FTTH) broadband network in a partnership with White Mountain Cable (a subsidiary of Dycom) and eX2 Technology. This mountain town is going from almost no Internet and sporadic cell service to faster speeds than even Great Barrington, the nearest large hub town, which is served by cable but not at speeds high enough to support a thriving, 21st-century economy. Last year, Mt. Washington residents voted on its bonding, demonstrating to the MBI it was ready to receive its $230,000 share of the $40 million earmarked in 2014 for rural broadband, and put out bids for construction. It soon will bid out for a service provider. And the work from the state’s MassBroadband “middle mile” connection hub here will finally pay off; that equipment was installed in municipal buildings all over the region, with fiber lines strung along throughout, waiting for the eventual “last mile” connections for which that $40 million was set aside. In Mt. Washington, this “backbone termination point” with dedicated fiber strands was installed in town hall, and all of Mt. Washington’s town buildings and homes will be connected to it. Households will then pay a monthly fee for their internet and phone service. The Berkshire towns of Alford and Otis, also among the state’s smallest, are on the same path as Mt. Washington, having had their readiness plans and funding approved in December by the MBI. Alford will receive $288,775 and Otis $1,145,975 for their town-owned FTTH networks. Some towns have banded together for greater strength in numbers to get wired up sooner rather than later. And the WiredWest broadband cooperative that has pulled more than 30 towns together has popped its head back up from the drawing board where it redrafted its plans and is still working to find a regional solution. Since last May, Gov. Charlie Baker said the MBI has helped 16 towns start to solve this problem, one that his administration says is crucial for students, business owners and all the state’s residents. A December letter to Baker from Nathaniel Karns, executive director of the Berkshire Regional Planning Commission, laid out the risks to the region — and the entire state — if the state doesn’t make a “grand scale” investment in statewide FTTH networks. The western Massachusetts economy, he said, is already on life-support, and continued connectivity that is worse than some “third world” areas could be the deathblow. Karns expressed concern that, in order to save money, the state might cut corners that, in the long run, may cost more by perpetuating a limping economy. MBI officials recently said that wiring up all the unserved towns in the last mile program might cost around $70 million rather than the original projection of $40 million. And a recent article titled “Who is Killing the Towns of Western Massachusetts?” by Harvard law professor Susan Crawford warns that large companies like Comcast, now being courted by the MBI to provide service, might doom these rural hills to inferior service at high prices. Lack of high-speed internet is considered so critical nationwide that the Federal Communications Commission (FCC), under new chairman Ajit Pai, voted last month to approve $170 million to “ease the digital divide” in New York state. The funds will come from the Connect America program, which makes investments for broadband in unserved and rural regions. State and private funds will also be used. time to move to the mountain. We appreciate the intense work of a few to improve the lives of the rest of us in Mt. Washington.